For the BEST Robotics competition, there is a constraint to the robot having to fit into a 2ft cube, and only the use of parts we received in the kit. This really got our brains back into gear when we started this competition in late September all the way up until early November as we tried to think of creative ways to design a highly efficient robot that can accomplish all of the tasks. 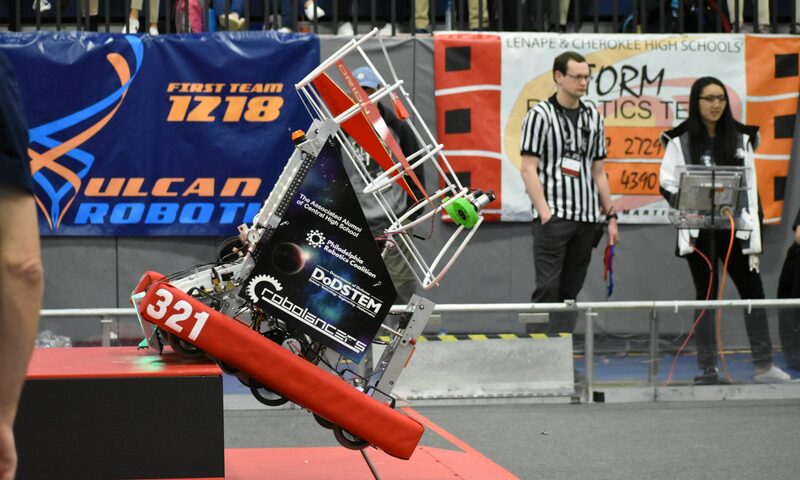 What really makes the BEST Robotics Competition unique is the fact that you not only build a robot, but there are other elements that help one get a feel for how it would be to be in a company that has just developed a new product. These other elements are but not limited to Oral Presentation: here you have to sell your product to actual engineers, Table Display: where you make a vendor booth demonstrating your full knowledge of game, and Spirit: where you just show your enthusiasm for the overall competition. The Marine Advanced Technology Education (MATE) Center coordinates an international student underwater robotics (remotely operated vehicle or ROV) competition and a network of 21 regional ROV contests that take place across U.S. and in Canada, Hong Kong, Scotland, and Japan. Student teams from upper elementary, middle schools, high schools, home schools, community colleges, universities, and community organizations, such as the Boys and Girls Club and 4-H, participate. The competitions consists of three different “classes” that vary depending on the sophistication of the ROVs and the mission requirements.